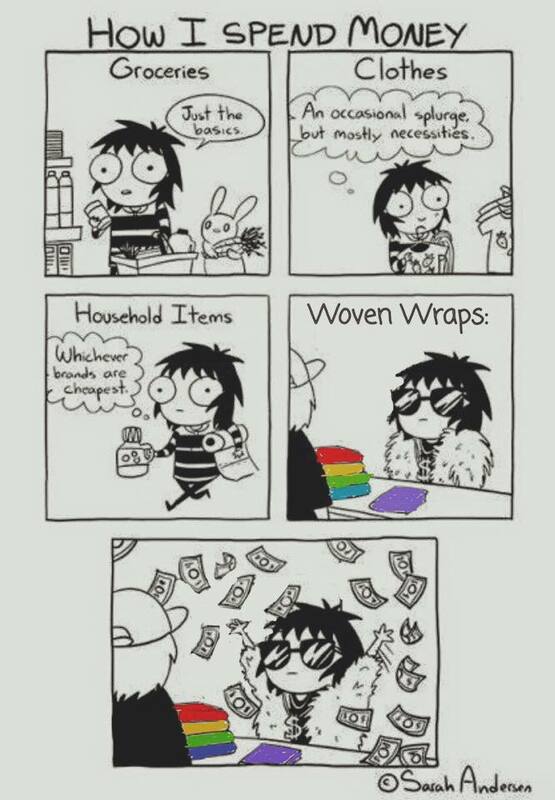 Not totally true for me; wraps come and go but most are traded or visit on holiday however in the face of other daily economies, wraps are somehow separate. This recognisable cartoon based on books was gloriously bastardised by a member of the Babywearing Drama group, I can’t find the original post to credit her. Makes me hoot with laughter every time I see it.